Google has been implementing many algorithm changes into their search technology on regular basis for the past decade. 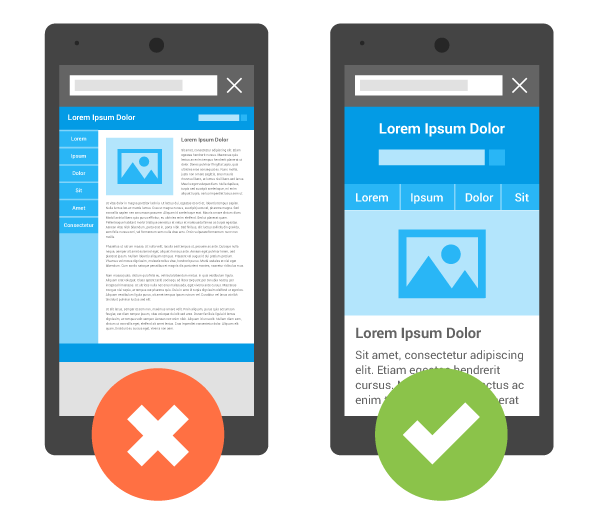 From panda and penguin updates to recent google mobilegeddon update. Basically if your website’s design is not able to render for mobile devices such as android phones, iphones or tablets, then it will be push down on google ranks because it is not offering a good user experience. Most of the users nowadays use mobile phones to find what they are looking for and make purchases. Making sure that your website offers the best experience and easy to use interface will increase your conversions and get you better ranks on organic search results. DBManagers.com designs are 100% responsive and offers great user experience on mobile devices. Whether you have a corporate website or a large ecommerce website with DBManagers.com you are covered and safe from all mobile related google updates. We use Magento platform with all of our ecommerce website designs. So when your customers are on your website they can view the products in great details, make product selections such as finish, glass, color etc, and make purchases right from their phones. Our websites are fast and robust and use the recent technology available to offer scalability for your business to grow.